We offer various methods of site preparation and work with contractors can do any job. With respect for the cost and the end results, we will find the right solution. For well sites and heavy vegetation sites we have a small mounder that is cost effective. We can mound and apply course woody debris for seedling obstacle planting. Both of these methods are recommended by provincial reclamation authorities to shelter trees and manage competing vegetation. 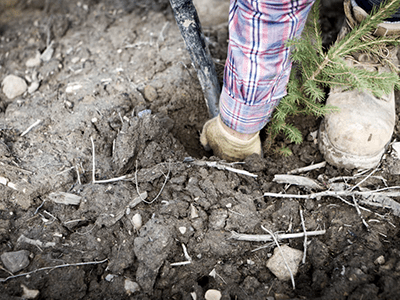 These methods can be utilized to secure the success of planted trees and shrubs, allowing our client’s piece of mind that planted sites will thrive and meet regulatory standards. We offer a number of solutions to manage vegetation and noxious weeds on reclaimed well and pipeline sites depending on the situation. We often recommend mounding well sites as a mechanical alternative to spray because is often the best microsite for a tree in a remediated site condition. We also offer pesticide spray service as well as manual weeding services to target various noxious weeds. At Shakti, we form progressive industry relationships, working collaboratively to offer a diverse array of services. 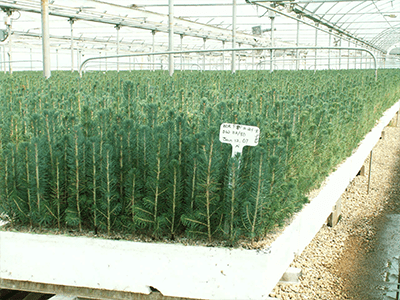 We work with Boreal Horticultural Services Ltd. to develop planting prescriptions and source the trees and shrub varieties needed for both forestry and reclamation planting. We can assist our clients to source the various seedlings to meet their needs early in the season and also assist in finding seedlings for last-minute demands. Shakti is well versed with relevant industry regulations and policy. We take responsibility for our projects and go the extra mile to meet clients needs. 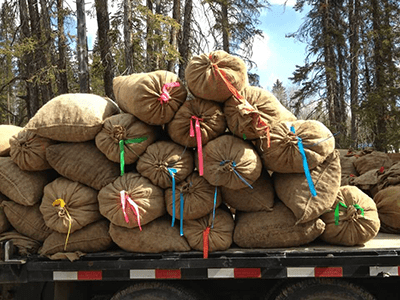 Reclamation certifications, “free to grow status,” and seedzone regulations are common topics in our workspace and we’re continually working with clients and regulatory bodies to meet these criteria. 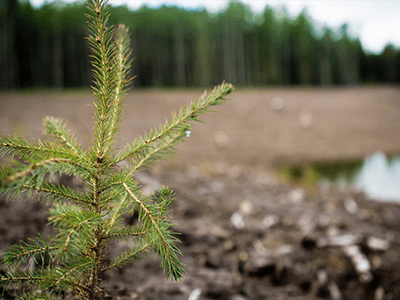 We can produce pre and post planting assessments, as well as general reforestation consulting services. Shakti has the experience, equipment and trained crews to provide services in the furthest reaches of Alberta and BC. We employ our Marsh Master MM2 model tracked aquatic vehicle which is the toughest swamp access vehicle period. The vehicle is fully aquatic and has a very low ground pressure PSI which enables us to move lightly through environmentally sensitive areas. 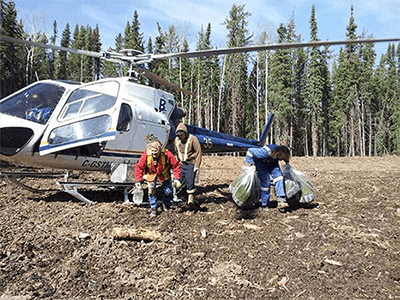 We’ve transported seedlings equipment and trees through countless miles of challenging terrain over the last decade. We also have extensive experience with helicopters on many different projects. Shakti understands the reforestation process from beginning to end. Our experienced cone collection crews work year-round to harvest cones that will become the seedlings used throughout the industry. We have the equipment and knowledge to collect cones from various species, using different methods, safely with a focus on quality. Shakti Reforestation Ltd. roots itself in tree-planting. There is nothing this organization is better suited to do. Tree planting will always be at the heart of our company and our number one priority. 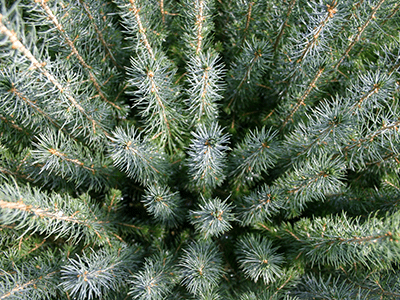 We have a background and history of success at the business of tree planting and on the most personal level. Shakti began as a tree planters’ company and provides a safe, fun and competitive home for experienced planters. 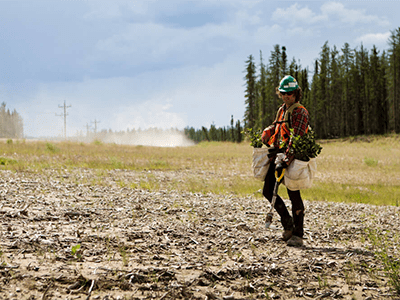 Our hard working crews plant quality trees and we provide the equipment and knowledge required to run safe and speedy tree planting services for forestry clients.